Please check out my UPDATED CINEMATOGRAPHY REEL. Always interested in helping as DP. 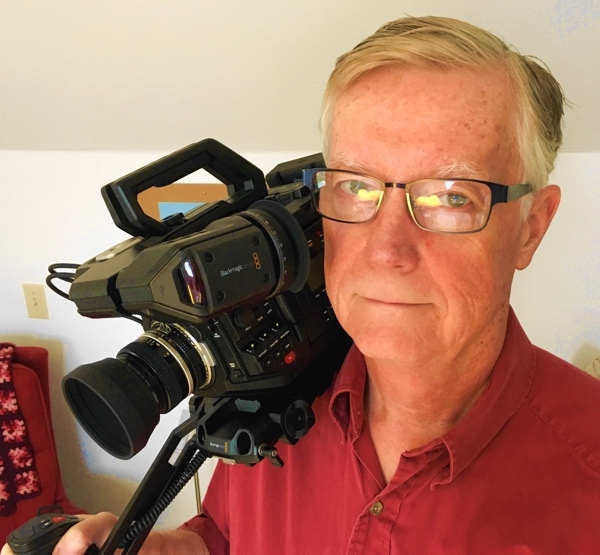 I’m filmmaker Jim McQuaid. Turnip Films is the umbrella for all of my filmmaking work. Recently, after some years of hoarding my films with the thought of film festivals and delusions of VOD income, I realized that I'd rather allow anyone to become part of my audience, even maybe a fan. So you will now find that most of the pages under "Turnip Films" above have a new submenu option: Watch The Film. Please enjoy my films and let me know what you think. Get on my mailing list and receive updates four times a year (or so). The tee shirt all writers should own! Click HERE. I am deep into editing on this film, created with two amazing actors, Jane Holding and Owen Daly. The film is the story of a man whose wife of many years has recently died. Then he begins to experience her presence. It's not a ghost story though; it's a love story. A couple of times a year (four at most) I report on my film projects, writing, thinking and collaborations. Please sign up HERE. I also do a variety of commercial projects ranging from reality shows to simple interviews. That work is described on the Turnip Video web site, turnipvideo.com.